Our vacation properties are conveniently located both on the beach and just minutes from these great attractions and activities, so after a day at the beach or out on the town you can quickly return to your rental, relax and recharge. Our Alabama beach house or condo rentals accommodate couples and large groups, offering one- to six-bedroom units that can sleep up to 16 guests. Amenities include fully-equipped kitchens, whirlpool tubs, big screen TVs, cable/satellite TV, wireless internet, wet bars, private balconies with water views and much more. You’ll also find outdoor pools, indoor pools hot tubs, saunas and fitness centers at most of the condominium complexes. 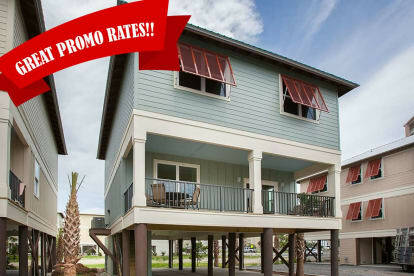 Book one of our Alabama beach rentals today for the perfect blend of relaxation and adventure!